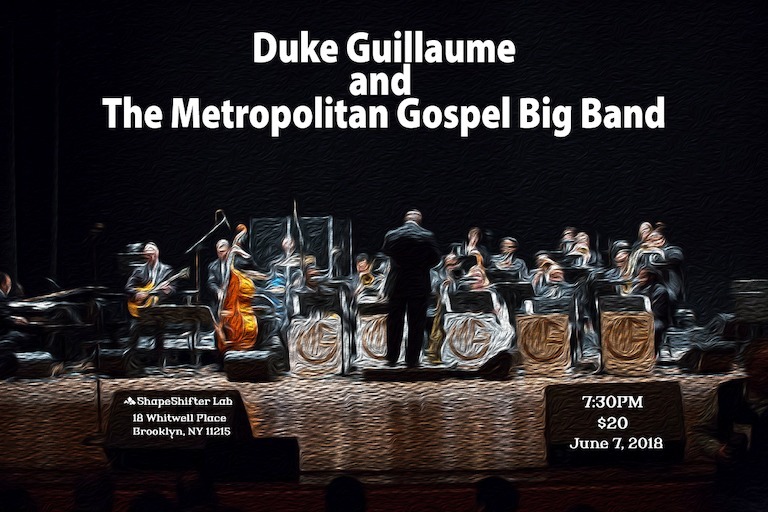 Duke Guillaume and MGBBS brand of Gospel Jazz/Swing fusion offers uniqueness not heard since the days when legendary gospel guitarist, Rosetta Tharp recorded with the Lucky Millinder Orchestra in the 1930s and 40s. Like the Tharp-Millinder collaboration, which was radical in its day, MGBB has raised some eyebrows. Duke says, We are dealing with a very delicate subject when you talk about bringing Jazz to the church. Jazz musicians have gotten a bad reputation over the years, especially as it relates to the church. We find its best to have jazz arrangements of songs that are recognizable, so that people are able to relate to easily. We hope our spirit flows through our music. MGBBS music is bold and full with a sound determined to reach Gods ears, giving musical praise a whole new dimension. Psa. 150:6, says, Let every thing that hath breath praise the LORD. Praise ye the LORD. MGBBs sound is unequivocally raising the praise as they Swing Unto The Lord A New Sound.